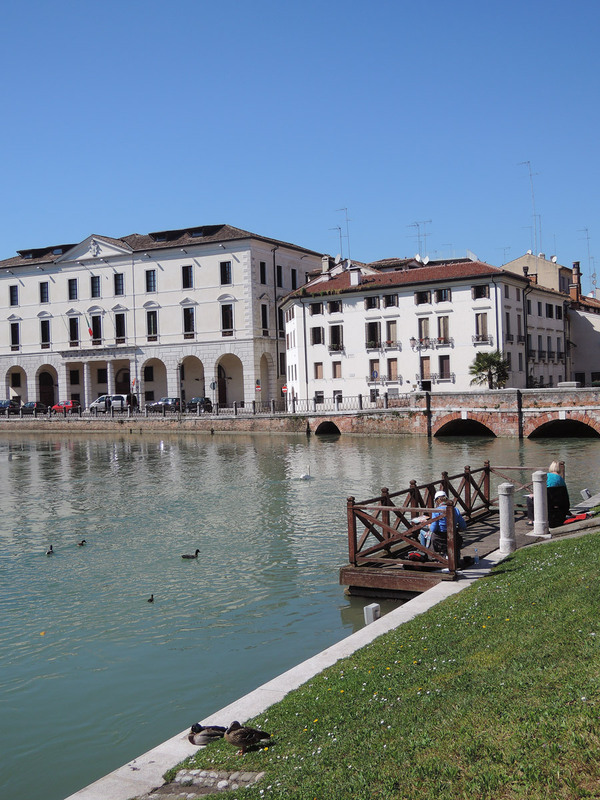 Treviso is a town of about 82.000 inhabitants located in the north-east of the Veneto region. 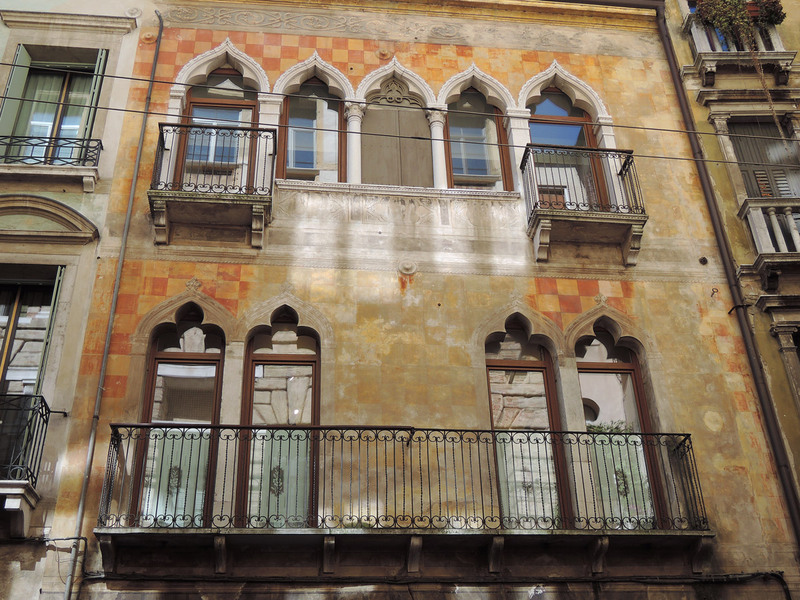 The Tiramisu was created precisely in Treviso. If you want you can find the recipe in my post regarding Tiramisu. 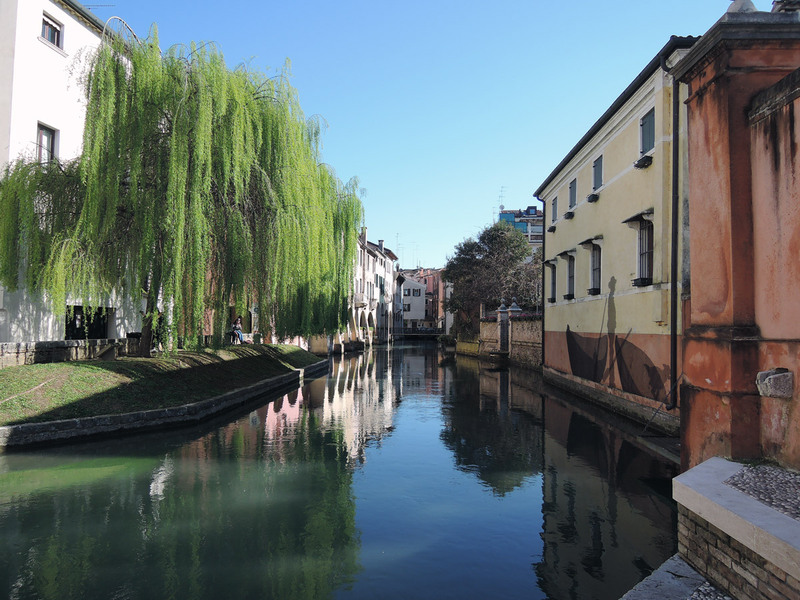 Treviso is famous for being the house of the headquarters of the Benetton fashion brand and for its excellent Prosecco. 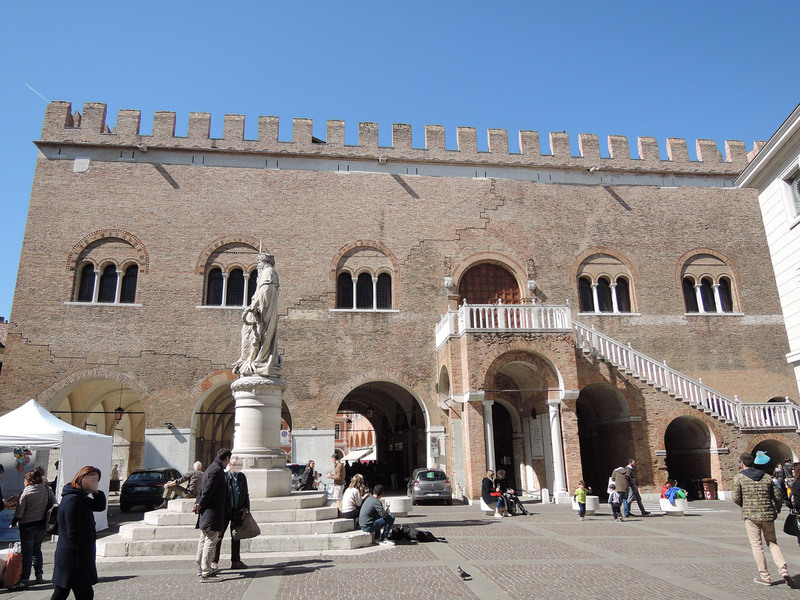 Dante spent a part of his exile here and testified Treviso’s animated and pleasure-loving lifestyle. 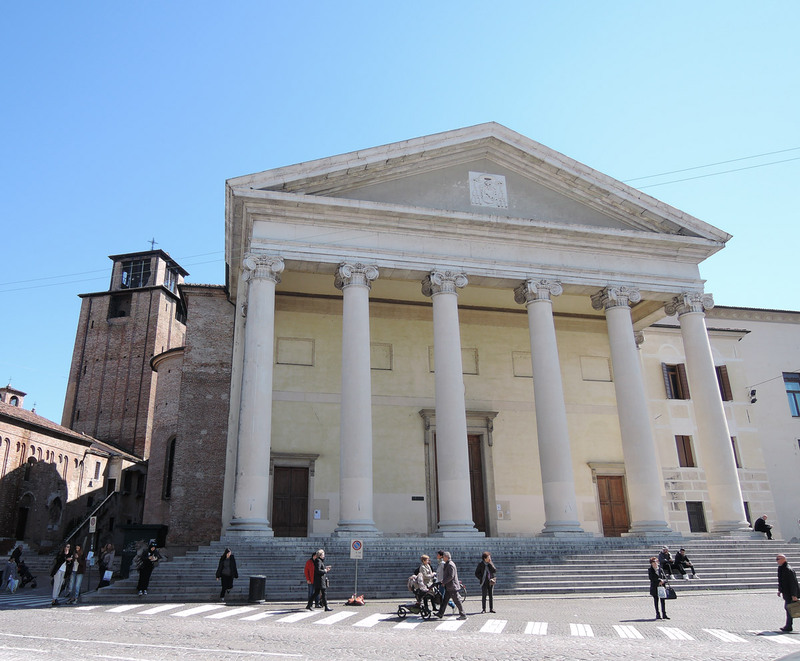 The neoclassical Cathedral of Saint Peter. 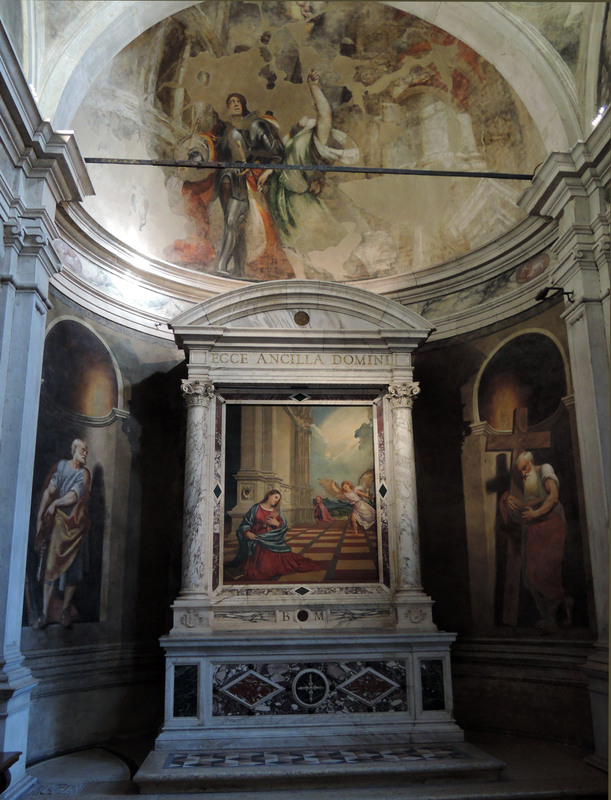 Inside you can admire the frescoes of Pordenone in the Malchiostro Chapel inspired to Michelangelo’s Sistine Chapel. There is also an Annunciation by Titian (1517). 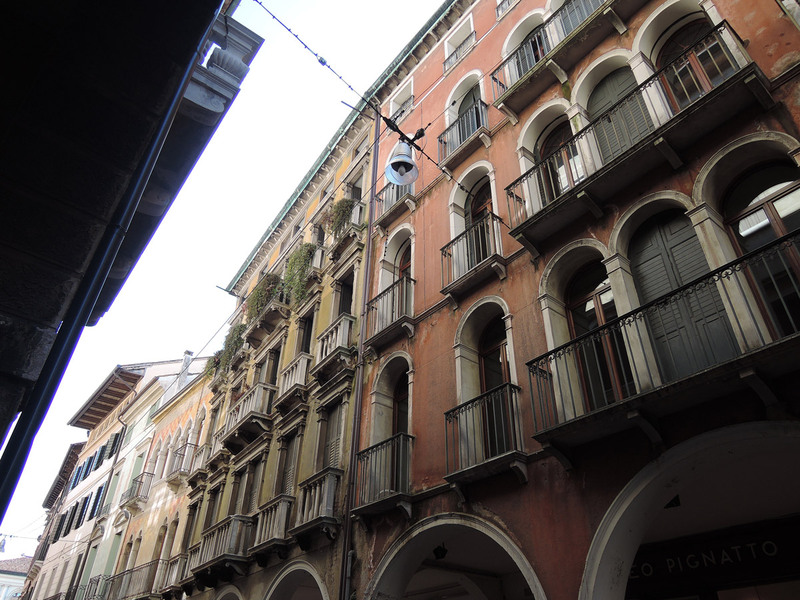 From the Cathedral to the main square you have to walk along via Calmaggiore, the main street of Treviso, lined with houses and shops. 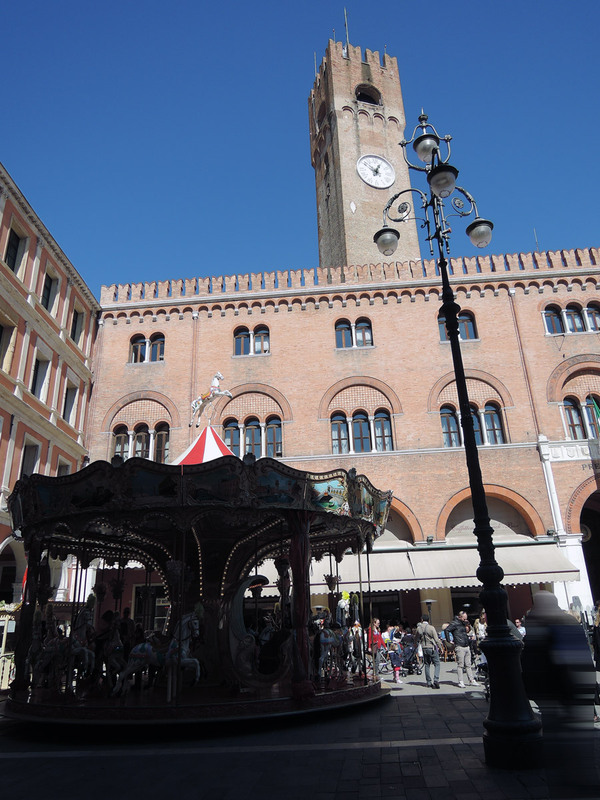 The heart of the city is Piazza dei Signori (Lords Square) with (to the north) the Palazzo del Podestà (XIX century) with his high Civic tower and (to the east) the XIII century Palazzo dei Trecento (Palace of the Three Hundred) also called della Ragione (something like Palace of the Reason) former seat of the Great Council of the city. A visit to the interior of the Palace is only possible during exhibitions. If you look closely you may notice a marking due to the aerial bombing of April 7 1944 by American Flying Fortresses. The attack caused 1.000 deaths and the destruction of many historical buildings. Loggia dei Cavalieri (Knights Loggia) built in 1276 as a place for meetings and games. 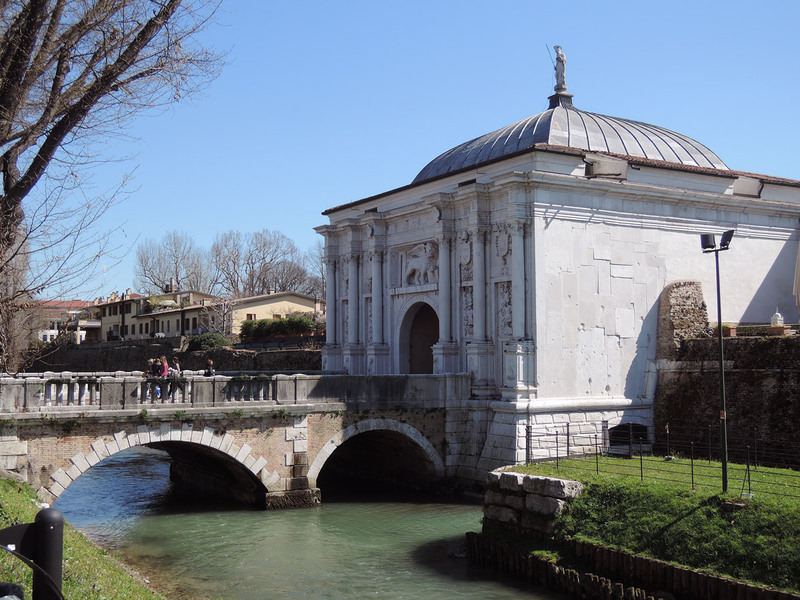 The XVI Century walls, still partially viable, and Porta San Tommaso (1518). The name is due to a church, by now destroyed, dedicated to St. Thomas of Canterbury. 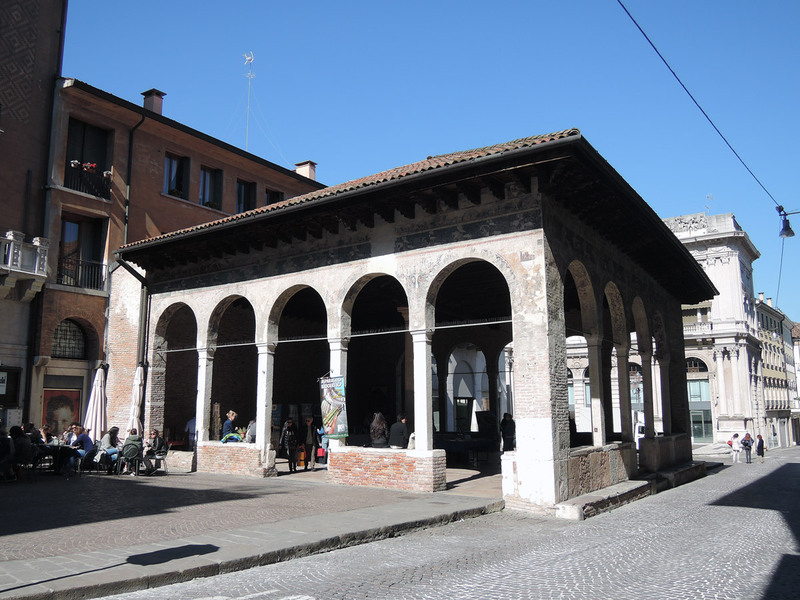 The picturesque Pescheria (Fish Market) located in the middle of a small river island. 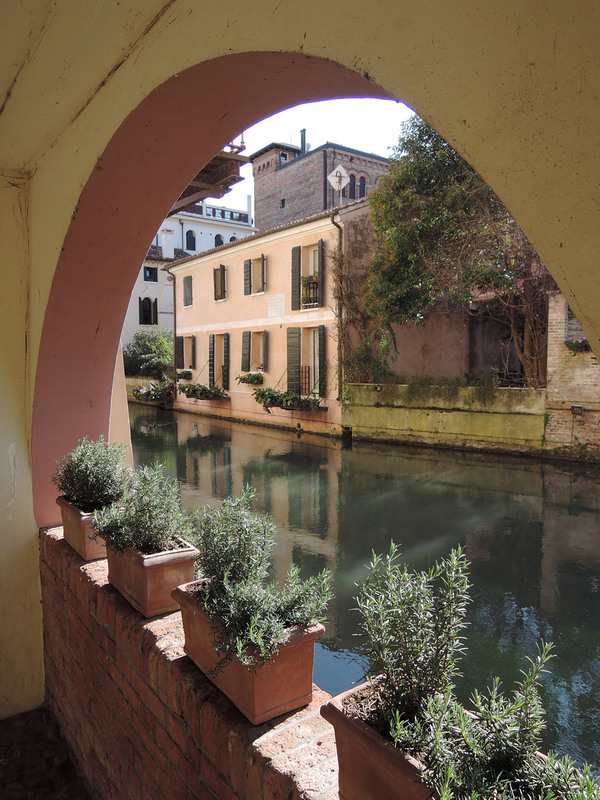 But the things that I like the most about Treviso are its canals. 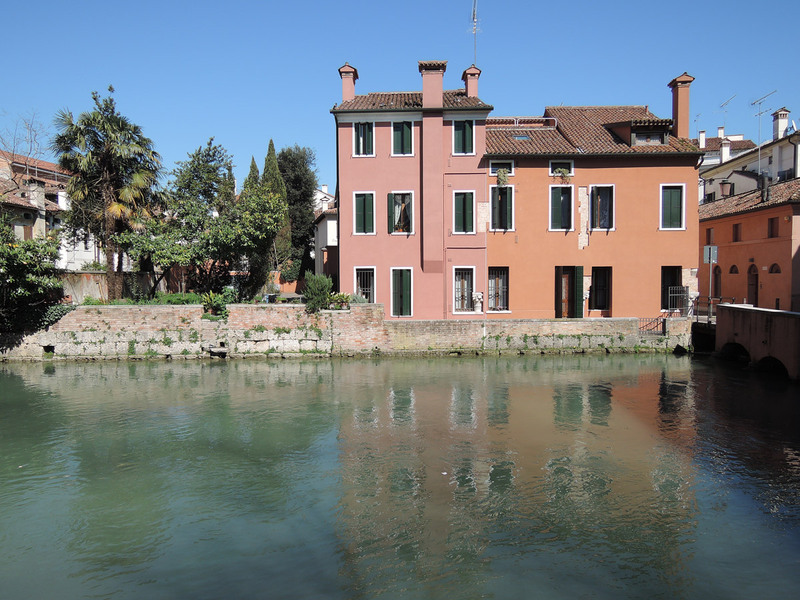 The town is flanked by the river Sile and crossed by the river Botteniga and the canals Cagnan, Buranelli and Roggia. 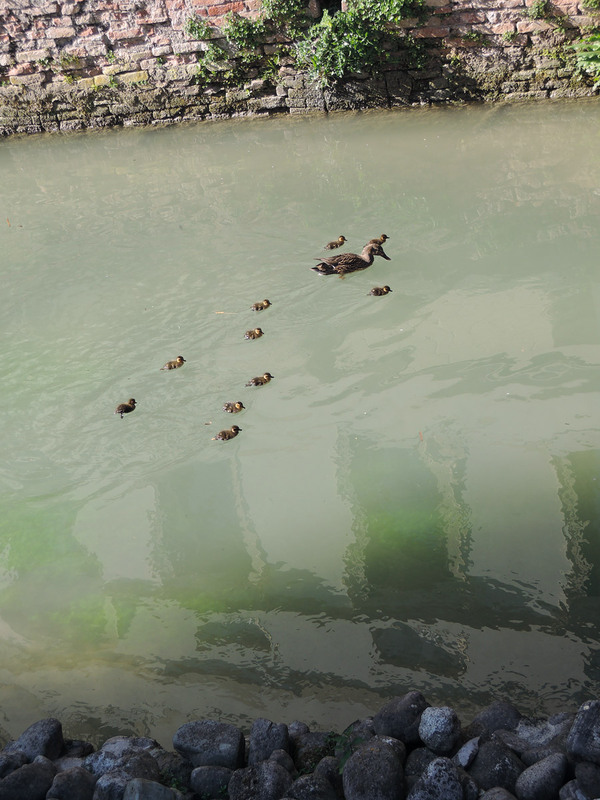 This peculiarity gives to the town a charming aspect. 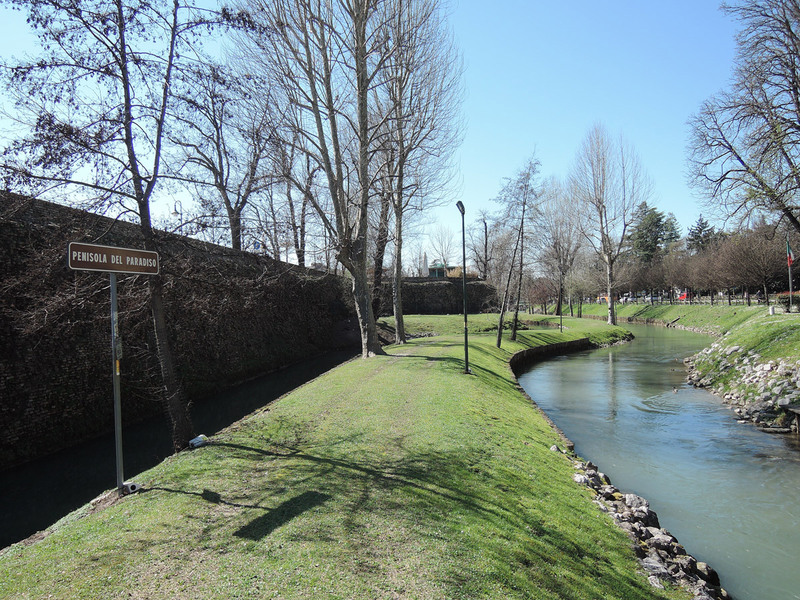 The part of the Buranelli canal is one of the most romantic of the whole town. The only true flaw of this lovely town is traffic. 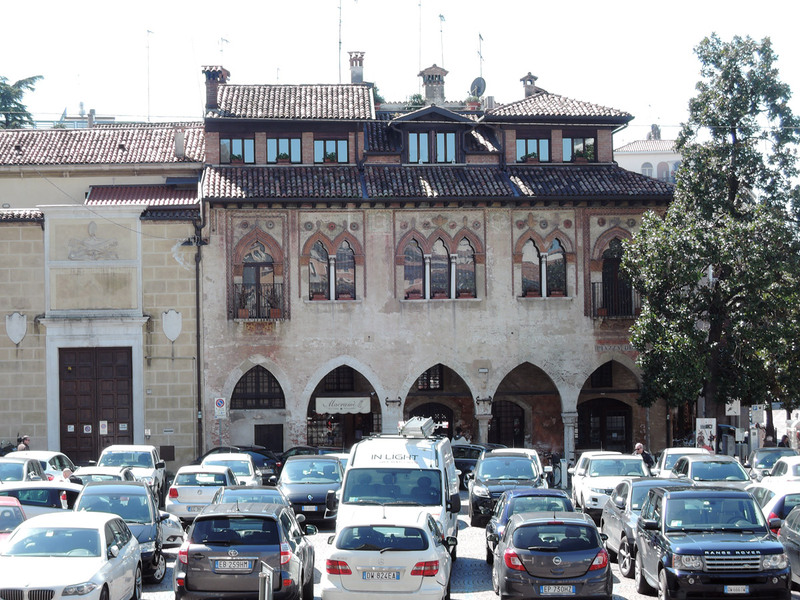 It is a shame to see so many cars parked everywhere in the historical centre and many cars running fast along the small streets.